Here's some sci-fi romance news that'll be easy on your wallet--but you have to act fast! 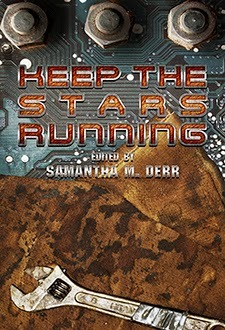 Less than Three Press is running a serial, sci-fi romance themed anthology called KEEP THE STARS RUNNING. It's edited by Samantha M. Derr and the content is updated weekly. "The Prince and the Programmer" by Cassandra Pierce is the current feature story. Seems like the free online content is a limited-time offer. Read more about the publisher's serial subscription service. Pretty cool concept and I appreciate Less Than Three Press offering readers a free taste. Thanks to R.K. Shiraishi of Smart Girls Love Sci-Fi and Paranormal Romance for the heads up!